Your pastured egg farming success is going to depend on how well prepared you are and the research you have done on potential markets, the Australian egg industry in general and just how to produce a marketable, quality egg.... and an abundance of them! This article peels back a lot of the hype and just deals with facts. The Australian free range egg industry expanded rapidly and attracted both commercial and small scale farming interest. This developed into a long running battle over just what a free range egg was and, unfortunately, corporate interests have muscled in on demand and changed this farming system to something that does not meet with most expectations of what free range should be. It is time to move on and leave them to a descriptor that they themselves have devalued and relegated to supermarket shelves and price cutting wars. The pastured free range system of farming can be far more complex than initially expected and catches new entrants to this industry by surprise. As with any new industry going through the growth phase, pastured egg farming can look like an attractive prospect as it is perceived as an inexpensive way to get into agriculture, is quite often sold as a ‘business package’, and as something easy to do yet offers a high returns. The purpose of this article is to outline the issues that should be addressed in a proposal for a small scale pastured egg business and to identify potential risks and problems for those new to the industry. Egg production is influenced by several factors such as the breed and strain of the bird, nutrition, mortality, health and management practices, age at point-of-lay, and age at peak of lay. Many small scale egg businesses choose to purchase new or replacement hens as point of lay pullets at about 18 weeks of age. If the decision is made to purchase day old chicks and raise them on farm, this practice will also increase the factors that will impact on overall productivity. The management of chicks is a lot more detailed than most think and their future life time egg production depends on how well they were raised. Disease must be managed, nutrition must be precise and the environment stress free. Other production factors to consider are location and access to markets, transport, available labour, feed availability and water supply. Large, commercial operations survive because of economy of scale, automated systems and they are often vertically integrated with their own breeder farms, hatcheries, transport, layer farms and grading facilities. The small scale producer must work to maximize their productivity to increase returns through improving the number of eggs laid per hen, maintain egg quality, reducing feed cost through careful management and understanding nutritional needs, efficient management and access to niche markets. The number of eggs laid per day per hen will vary due to seasonality, day length, nutrition and the age of the hen. There a lot of things that could make your hens ‘go off the lay’ and send you broke if you do not understand how they might happen. Lay rates are usually calculated as a percentage of eggs laid relative to the size of the flock. It is important to record daily egg numbers to be able to accurately assess the hens’ performance. A guide is to keep the overall lay rate above 75%. Most birds are culled when their lay rate decreases to 60 – 70%. Sometimes birds are kept to 50% depending on ability to fill orders and when replacement stock are available. Small farms will be able to clean and package their own eggs on site but must be aware of the regulations and food safety standards that are in place both nationally and on a state level in regard to washing, grading and storage of eggs. Licenses are also usually required. There are several free range accreditation systems available to producers that all have similar standards for the production of free range eggs and hen management and have a focus on animal welfare and consumer concerns. Only PROOF focuses on pastured production. Having farm accreditation does assist with the marketing of eggs by offering the reassurance that someone else is looking over your shoulder and validating your claims. When you are selling direct or have personal contact with your clients this may not seem necessary, but, this industry is expanding rapidly and you need an advantage over your competitors. Many retailers are now insisting on accreditation so that they can demonstrate to their customers that you do meet their expectations. 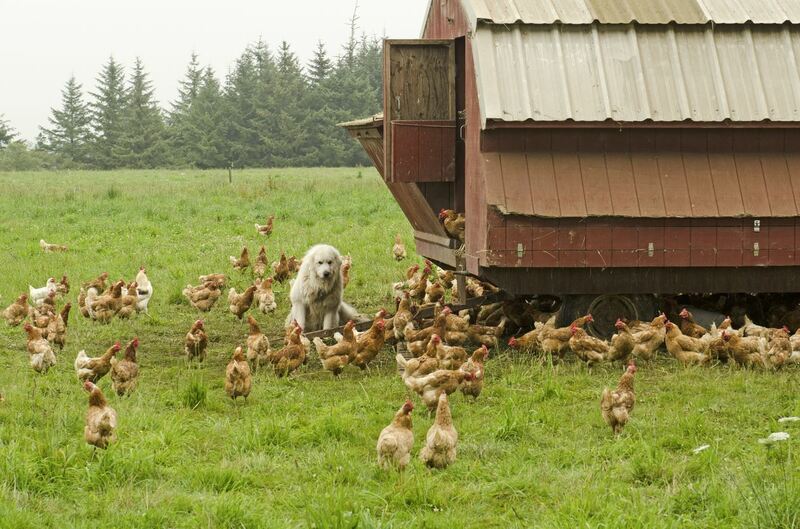 Poultry housing should be as mobile as possible to assist with management of the environment and the pasture. 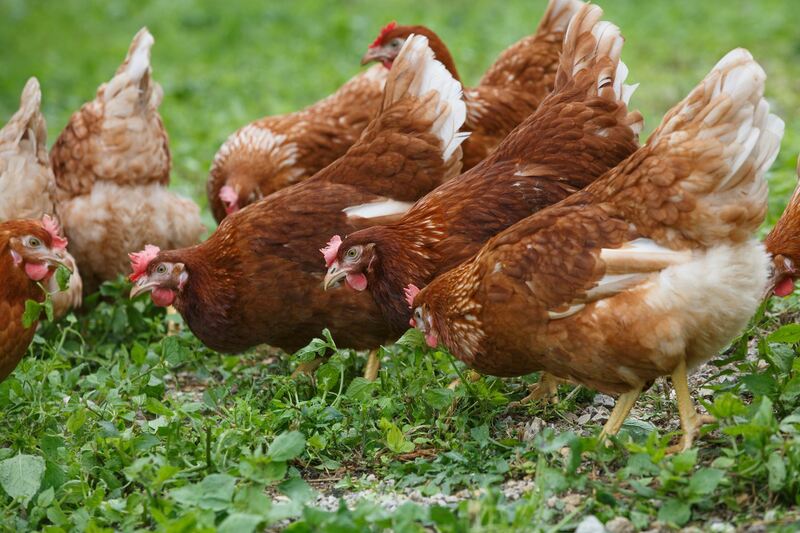 Flock sizes are generally 2,500 or less for layer hens in a true pastured system. Sheds should be designed for ease of relocation, appropriate interior environment for the hens and with adequate nesting and perching available. Small hen houses can still be fitted with rollaway nest boxes or automated egg collection systems. Pastured is a term that is rapidly gaining popularity with consumers because it more accurately defines the conditions under which they expect their eggs to be produced. It also enables the producer to set themselves apart from what has now become a supermarket label, ‘free range’. When it comes to eggs, many producers have been led to believe that there is a legal requirement to label their eggs as either caged, barn or free range in line with the model code and this has caused a great deal of despair for those farmers that produce their eggs under such different conditions to the corporate giants that have taken over the term free range. Levelling the playing field will only serve to put small farms out of business and lead consumers down the same old path of deception. PROOF (Pastured Raised On Open Fields) has been a leader in steering a new direction for both egg and pork producers and is working to ensure that our farmers hold on to their rightful place in the market and in doing so act, on sound advice. PROOF has sought legal advice on the requirements for labelling on egg cartons and our producers are free to label their eggs as ‘pastured’ because there is no legal requirement to call them cage, barn or free range only*. On this basis, egg producers who use the term pastured eggs, must allow their laying hens access to grassy pasture to permit the hens to feed on grass in order to avoid contravention of the consumer protection laws. Our advice also recommends that to further mitigate the risk of contravening consumer law provisions, that more information about the meaning of ‘pastured eggs’ be provided on the carton by using the PROOF definition for pastured production or using the PROOF logo and website link available to PROOF licensees. It is very important that farmers are able to offer proof that their production system is genuinely pasture based so as not to mislead consumers, but to also ensure that our farmers have secure and viable future. Learn more about PROOF Licensing. While the Australian Egg Corporation has provided guidelines for producers that stipulated that the terms caged, barn or free range be used on egg cartons, this is a voluntary guideline. However, the Egg Corp Assured program does dictate that producers comply with the Egg Corporation guideline. So, the only restrictions on how production systems are described on egg cartons are if the producers are Egg Corp Assured or in the ACT. Poultry are descendants of the red jungle fowl but through breeding and selection for traits that are more useful to human needs such as egg production, it has become necessary to make adjustments to the environment in which they are now kept and to supplement them with feed to cater for the increase in productivity. Housing can be expensive but the largest cost in producing an egg is supplying feed. For the pastured egg producer there will be an additional cost in supplying feed if the flock size is small and large quantities cannot be purchased, however, the premium paid for eggs sold into niche markets can absorb this cost. Pasture will be available to free range hens but it is difficult to calculate how much the birds consume and what nutritional benefit the pasture provides. Monitoring pasture growth, feed intake and egg production is a good guide to consumption. A good pasture for grazing hens consists of perennial ryegrass and clover which could yield 15 tonne of dry matter per hectare per year. Pastures should be grazed in the middle phase of its growth cycle because if it is grazed too early recovery will be slow while if left too late, a lower quality pasture will result and poultry do not make efficient use of long pasture. There is no place in pasture egg production for the absentee farmer with flocks, feed and water requiring constant monitoring. Ideally, point of lay pullets would be purchased by the smaller producer that may not have the facilities or the know how to successfully raise these birds from chicks. It is important however to ensure that purchased birds have been trained in the use of perches while they are being raised so that they are able to roost and will have less problems accessing nesting boxes. Another advantage to buying point of lay pullets is that they have already received all their vaccinations and this is vitally important to their long term health. It is far more difficult for small producers to acquire small quantities of vaccines and it also minimizes the risk of omitting a critical step in the vaccination schedule. Paddock rotation and pasture management are a necessary part of pastured production. Stocking densities need to be monitored and adjusted as necessary to achieve good outcomes. Vegetated cover of the range areas can be managed through paddock rotations and should ensure that all birds have access to edible forage such as grass, clovers, sown cereals or even their favourite weeds. Nutrient loading in the soils grazed by birds should be managed through effective paddock and stock rotations and when necessary, the implementation of procedures to remove or prevent the build-up of nutrients in the soil to unacceptable levels. This means having a way of harvesting or grazing pasture growth or sown pastures so that it is removed from that land or perhaps growing another crop such as corn or vegetables. A decrease in stocking rates may be necessary to achieve this. Regular soil testing will assess nutrient loading in the soil and what remedial action needs to be taken should soil nutrients reach unacceptable levels. Maintenance of groundcover is critical to effective erosion control. Stocking densities should be adjusted when necessary to ensure that groundcover is adequate enough to prevent erosion. Free range production is defined in the Model Code as ‘Birds in free range systems are housed in sheds and have access to an outdoor range’. The Model Code also sets out the minimum standards for hen welfare expected of all producer, no matter what system of production is employed. The guidelines for the welfare of layer hens is set out in the Model Code, however, the opinion of a growing number of consumers is that the Model Code does not satisfy their expectations for animal welfare and this is the driver behind the growth of the free range industry. Concerns have arisen about the welfare of birds in free range systems that are not managed well. Simply allowing birds access to a range in the outdoors (without the need for them to actually go outside under the new Australian definition), does not guarantee the best animal welfare outcomes so knowledge of bird behaviour, their nutritional and physiological needs as well as management of their environment is paramount to their welfare and the success of the business. Feather pecking and cannibalism can occur in pastured birds and are usually the result of a problem in the management system such as when overcrowding occurs or when stress, disease and diet impact on the birds’ ability to carry out normal foraging behaviour. Lower stocking rates, vaccination programs, lighting programs and adequate nutrition can overcome these issues. An environment that encourages exploration and caters to the inquisitive nature of the chickens, lower stocking rates and good nutrition will help to prevent feather pecking but should it occur all management practices should be reviewed to find the cause. There are several strains of highly productive layer birds available. These birds are predominantly hybrid cross breeds such as the Hy-line Brown, Isa Brown, Hisex Brown, Bond (Lohman) Brown, Bond Black and the Nulkaba Brown. Layer hens require a diet that provides enough energy, protein (amino acids) minerals and vitamins to lay to their full genetic potential and many of the poultry breeding companies provide guides to nutrition for their particular breed or strain of bird. Well managed pastures will provide some nutrition for the birds but just how much will depend on the species of fodder or grass, the growing season, maintenance of the pasture (mowing) and availability of irrigation. It is possible to provide up to 20% of the birds nutritional needs from pasture but it is recommended to have feed available to the birds at all times and to formulate the correct diet. As a guide, Crude Protein should be approximately 17% (although the levels of amino acid are of more concern) and although the birds may source considerable amounts of calcium from the soils, shell grit should still be supplied to assist the gizzard’s grinding action, to enable the hen to better cope with fibrous grasses and to store reserves of calcium in older hens and hens should be fed a mash feed rather than pellets. A free choice feeding system could work well for free range poultry as it allows the hens to balance their own diet from protein concentrates, energy sources including vitamin and minerals. In a study by Golden, Arbona, & Anderson (2012)it was found that grazing available to free-range hens in on pasture did not provide hens with high enough protein levels, as was not of a composition necessary to support the same level of production as caged hens that were being fed a concentrated and balanced diet so productivity could be slightly lower than caged birds. Water is a very important part of the hen’s requirements and a clean, fresh and constant supply must be available. Hens prefer cool, slightly acidic water, and a cool water supply is essential during hot weather to help prevent heat stress. Heat Stress can cause serious losses and impact on animal welfare. It depresses performance and the amount of feed the birds will consume. Adjustments to the diet formulation should be made to ensure that the hens are receiving adequate nutrition as their intake is reduced. Vitamin C, is a very useful supplement for poultry under stress, particularly under heat stress. Supplementing diets with ascorbic acid, especially under heat stress, improves growth, egg production, egg shell strength. Maintaining the health of a free range flock can be a challenge and requires good stockmanship, a robust vaccination program, good hygiene practices and a mobile housing system that permits the management of contamination risks in pasture and paddock rotations. Rotations allow previously used areas to be exposed to sunlight and the drying effects are very beneficial against pathogens. Virus are the biggest infectious disease threat to poultry and therefore vaccination is the only effective tool to control an outbreak. Disease of most importance to layer hens are Marek’s Disease, Infectious Laryngotracheitis, Newcastle Disease, Fowl Cholera, Infectious Coryza, Necrotic Enteritis, Coccidiosis, E. coli and Infectious Bronchitis. Diseases of poultry can be divided into three main categories: Behavioural, Metabolic and Infectious. Metabolic diseases occur when the nutrition of the birds is not balance and either does not meet or exceeds their needs. Weak bones and poor quality egg shell and Fatty Liver Disease are just two problems that can be prevented by following diet advice provided by the breeder of the chosen strain. Behavioural disease is most commonly exhibited as feather pecking and cannibalism that can be managed by avoiding, addressing and preventing stress in the birds or behavioural changes that can result in pecking behaviour. Infectious causes may be viral or bacterial and because free range birds are in contact with the ground and soil, they are exposed to disease and internal parasites through faecal oral cycling. Control of those diseases that cannot be vaccinated against can be expensive and difficult and management of the environment is critical. Biosecurity plays a crucial role in the prevention of disease on a pastured egg farm which essentially means restricting movement of birds and people on the farm. Avian influenza can be spread by wild waterfowl so when surface water is used to supply the birds it must be sanitized. Poultry farms and range areas should be established away from water sources such as dams to minimize the risk of contact with wild birds by the hens. Biosecurity at a practical level is about designing a plan to minimize the introduction of disease from any source. Antibiotic use in food production is set to decline because it can increase the risk that bacteria will evolve to become resistant to antibiotics making human infections hard to treat. No matter what production system is used to produce eggs, the birds for these operations generally come from very large hatcheries where the chicks are hatched under very sterile and quite unnatural conditions. This means that the chick is not given the opportunity to adapt to its environment and build an efficient gut micro flora and this can lead to infections and disease when it is introduced to new pathogens on farm. The majority of small scale free pastured operations buy in point of lay pullets instead of chicks and this reduces the risk of losses to a large extend. Birds will still be exposed to new pathogens in their new environment and their adaptation can be aided by the use of probiotics. A Study published by the CSIRO indicates that there is evidence that pathogens that often impact on egg production and cause sudden deaths of hens, can be reduced when free range birds are treated with a probiotic before or during the onset of lay (Shini, Shini, & Blackall, 2013). The use of probiotics will benefit the health and performance of the birds and result in better animal welfare and economic gain for the producer. Infected chickens transmit Salmonella to eggs especially when their environment is contaminated by carriers such as rats, mice, birds and flies. A hen will show no outward signs of illness once infected, but small deposits of salmonella may be found in her eggs. Small amounts of salmonella may be relatively harmless but it can increase rapidly to dangerous levels if the eggs aren't cooled quick enough and kept at the right temperature during storage and shipment. Eggs can also be infected with salmonella from the outside by coming into contact with the bacteria in a contaminated environment or on dirty equipment. There have been many changes in egg production systems as well as the egg itself. Free range production will contribute to the microbial challenges the industry faces if good management is not in place. This book is an introduction to the business of farming pastured eggs for profit. Its aim is to not only arm you with all the ‘must do’s’, but to give you a clear understanding of why the must do’s are so important. Knowing how things work and why they do puts you in the driver’s seat and better able to steer your new business towards becoming a highly productive farm with the best outcomes for the welfare and health of your hens and that means, a healthy bottom line. Pastured egg farming can be very rewarding and quickly turn a profit but your success will depend on you being equipped with the right knowledge and prepared for what is ahead. It’s not much use being told that you just need to feed the hens a certain percentage of protein, that you will get so many eggs per day, that you just need to clean, grade, package and deliver your eggs, birds are usually vaccinated and that you will need to replace your flock every so often, if you don’t know why. It is just as important to know what can go wrong and how to rectify and prevent it, and that is the purpose of this book. We want you to be successful and build a respected brand that is here for the long term, not just until the first problem occurs in the flock! It is NOT the aim of this book to sell you any ‘fluff’ so it won’t be full of hype and sales pitches, just experience, knowledge and when necessary, good old fashioned science to back up what you are reading. Need help marketing your eggs? 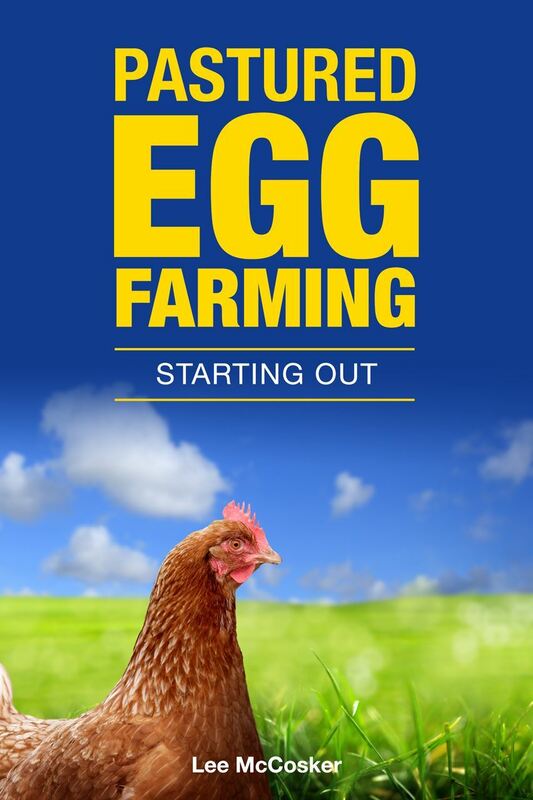 Would you like a FREE copy of our egg farming ebook? Abdulrashid, M., Agwunobi, L. N., & Hassan, M. R. (2010). Ascorbic acid and heat stress in domestic chicken nutrition: A review. Journal of Agriculture, Forestry and the Social Sciences, 8(2). Golden, J. B., Arbona, D. V., & Anderson, K. E. (2012). A comparative examination of rearing parameters and layer production performance for brown egg-type pullets grwon for either free-range or cage production. Applied Poultry Research, 21(1), 95-102. Nagle, T., Singh, D., & Trappett, P. (2005). Layer Strains for Alternative Systems. Australian Egg Corporation. Shini, S., Shini, A., & Blackall, J. P. (2013). The potential for probiotics to prevent reproductive tract lesions in free-range laying hens. Animal Production Science, 53(12), 1298-1308.